Aceites Vallejo. Expertes in Extra Virgin Olive Oil. We adapt our taste to the client’s needs. Aceites Vallejo is a company with service purpose, "so our clients, wherever they are, get a product under the highest standards, at the best price". 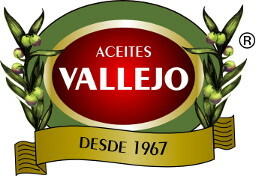 Aceites Vallejo strongly supports Quality. We have our own internal laboratory, which together with our ISO 9001, ISO 14000, ISO 22000, CAAE (Organic), IFS and BRC certificates, ensure the excellence and food safety in all the products which we manufacture. Aceites Vallejo has a Technical Department in International Sales focussed on the client and the necesary documents & logistics, covering a full service.